Southeastern Medical Supply, Inc - ADVIEW2 diagnostic station . Basic unit includes: Rechargeable lithium-ion battery; U.S. power cord; 10-foot length of tubing; Adult Plus and Large Adult Plus cuffs; Mini-USB to USB Cable; Quick Reference Guide; Quick start Guide. THROUGH YEAR END 2018, SOUTHEASTERN MEDICAL SUPPLY IS OFFERING FREE MOUNTING OPTIONS FOR ITS ADVIEW2 LINEUP. 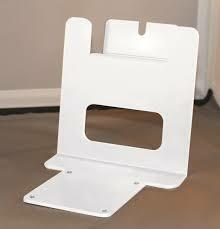 A FREE DESK CADDY, WALL MOUNT OR MOBILE STAND IS AVAILABLE. PLEASE LOOK AT THE SPECIFIC MONITOR TO SEE WHAT IS BEING OFFERED. The original ADView was the first diagnostic station to offer a manual mode. allowing you to capture blood pressure with your stethoscope using the traditional auscultatory method without changing cuffs. Manual mode provides important versatility for your patients with arrhythmias or other complex needs. ADC, a world leader in core diagnostic products for more than 30 years, has once again innovated to create the Adview 2, the next generation in modular vital signs monitors.. The ADView 2 easily captures automated blood pressure measurements at the touch of a button. Our non-invasive blood pressure module uses the oscillometric method, with both pulse rate and the mean arterial blood pressure (MAP*) displayed in about 30 seconds. With seven available cuff sizes, ranging from child to thigh, the ADView 2 can be used for patients ages three and older. Adult Plus and Large Adult Plus cuffs come standard. Also, as with the original Adview, this device also allows you to manually take blood pressure reading. Please note that MAP* is not currently validated for use within the US. With the ADView 2, ADC also offers a user-definable averaging mode with programmable options including two to five readings, start and interval delays, and first-measurement exclusion. Averaging is recognized as a key component of accurate blood pressure measurement and was used in the recent Systolic blood Pressure Intervention Trial conducted at the National Institute of Health. FOR A LIMITED TIME , SOUTHEASTERN MEDICAL SUPPLY IS OFFERING FREE MOUNTING OPTIONS FOR ITS ADVIEW2 LINEUP. BUY NOW AND RECEIVE A FREE DESK CADDY WITH THE PURCHASE OF THIS 9005BP MONITOR. A $49.99 RETAIL VALUE! The ADView 2 BP base unit includes: Rechargeable lithium-ion battery; U.S. power cord; 10-foot length of tubing; Adult Plus and Large Adult Plus cuffs; Mini-USB to USB Cable; Quick Reference Guide; Quick start Guide. The ADC ADView 2 is modular in design. The basic unit starts with a blood pressure and heart rate base. From there, optional modules and accessories allow you to create a diagnostic solution perfectly suited to your needs. 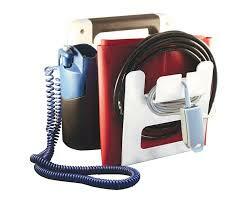 These modules and accessories allow you to create a diagnostic station perfectly suited to your needs. Add them at the time of purchase and we�ll ship your ADView 2 configured. Add new modules as you need them to easily upgrade at your facility..
FOR A LIMITED TIME, SOUTHEASTERN MEDICAL SUPPLY IS OFFERING FREE MOUNTING OPTIONS FOR ITS ADVIEW2 LINEUP. BUY NOW AND RECEIVE A FREE WALL MOUNT WITH THE PURCHASE OF THIS 9005BPTO MONITOR. A $99.99 RETAIL VALUE! In addition to the base unit capability, add a Covidien Filac 3000 Thermometry module to your ADView 2 for an oral or axillary temperature reading in as little as 3-6 seconds. The module features both Fahrenheit and Celsius scales, switchable with the touch of a button, a cold mode for lower ranges, and a built-in, color-coded storage well for the probe and box of 20 disposable probe covers (included). An optional color-coded rectal chamber/probe is also available. Temperature module includes: Oral/axillary probe and well (blue) and box of 20 probe covers. FOR A LIMITED TIME, SOUTHEASTERN MEDICAL SUPPLY IS OFFERING FREE MOUNTING OPTIONS FOR ITS ADVIEW2 LINEUP. BUY NOW AND RECEIVE A FREE WALL MOUNT WITH THE PURCHASE OF THIS 9005BP/SP02 OR SM MONITOR. A $99.99 RETAIL VALUE! In addition to the base unit capability, add a pulse oximetry module to your ADView 2 to measure oxygen saturation of arterial blood flow in about 10 seconds. The ChipOx Nellcor-compatible SpO2 module displays pulse-rate signal strength during measurement, and comes with a reusable finger clip sensor and 8-foot cable. An optional pediatric/multi-site sensor is also available. Alternatively, choose the Masimo SET SpO2 module upgrade. SpO2 module includes: Adult finger sensor and 8-foot extension cable. FOR A LIMITED TIME, SOUTHEASTERN MEDICAL SUPPLY IS OFFERING FREE MOUNTING OPTIONS FOR ITS ADVIEW2 LINEUP. BUY NOW AND RECEIVE A FREE MOBILE STAND WITH THE PURCHASE OF THIS 9005BPSTO/BPSMTO MONITOR. A $324.99 RETAIL VALUE! Available Platforms' for other accessories such as cuffs, peripherials, etc.